Procter & Gamble stock was on the rise Friday following the release of its earnings report for its fiscal first quarter of 2019. Procter & Gamble's (NYSE:PG) earnings report for its fiscal first quarter of the year includes earnings per share of $1.12. This is better than the company's earnings per share of $1.09 reported during the same time last year. It also was a boon to Procter & Gamble stock by beating out Wall Street's earnings per share estimate of $1.09 for the period. During its fiscal first quarter of 2019, Procter & Gamble reported net income of $3.20 billion. This is an increase over the company's net income of $2.85 billion reported in its fiscal first quarter of 2018. Operating income reported by Procter & Gamble for its fiscal first quarter of the year came in at $3.55 billion. The maker of consumer goods reported operating income of $3.65 billion for the same period of the year prior. 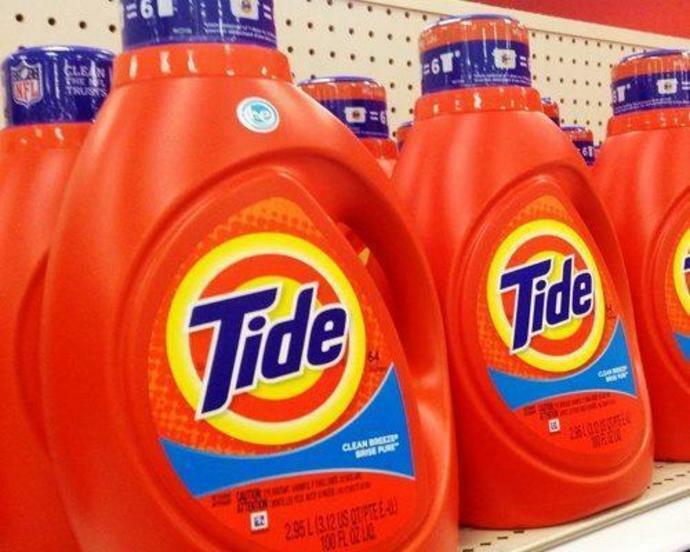 Procter & Gamble also reported revenue of $16.69 billion for its fiscal first quarter of 2019. This is up from the company's revenue of $16.65 billion reported in its fiscal first quarter of the previous year. It is also good news for Procter & Gamble stock by coming in above analysts' revenue estimate of $16.46 billion for the quarter. Procter & Gamble' revenue for its fiscal first quarter of the year was lead by a 7% increase in sales from its Beauty segment. The company also saw sales from its Fabric and Home Care segment increase 5% during the quarter. Its Grooming and Health Care segments were up 4% each in its fiscal first quarter of 2019. Baby, Feminine and Family Care segment sales were down 1% for the quarter. PG stock was up 7% as of Friday morning, but is down 11% year-to-date. The post Procter & Gamble Stock Surges on Q1 Earnings Beat appeared first on InvestorPlace. The online marketplace platform&apos;s revenue growth isn&apos;t exactly staggering, but it&apos;s definitely a step in the right direction. The toy maker&apos;s results suggest that it&apos;s shed the Toys R Us blues. Volatility 101: Should Chigo Holding (HKG:449) Shares Have Dropped 33%?